Today was mostly a travel day, it was a very early start this morning as we got on the coach at 6am for the 5 hour journey to São Paulo airport. I managed to get a little sleep the coach before we got to the Airport and boarded our flight to Iguassu Falls. The flight was short, around 1 and a half hours and after collecting our luggage we hopped straight on the bus to Iguassu Falls. Today we was the Brazilian side of the falls, they actually account for around 25% of the falls, the rest being just across the border in Argentina. Even saying that, the falls still look pretty huge! It’s been raining pretty heavy so they are also pretty full. We walked around the viewpoints and took in the breathtaking sites and we even saw our first Toucan! After all the travelling today we were all feeling pretty tired so headed back to the hotel before heading out for dinner to a Brazilian Grill. The food was great! 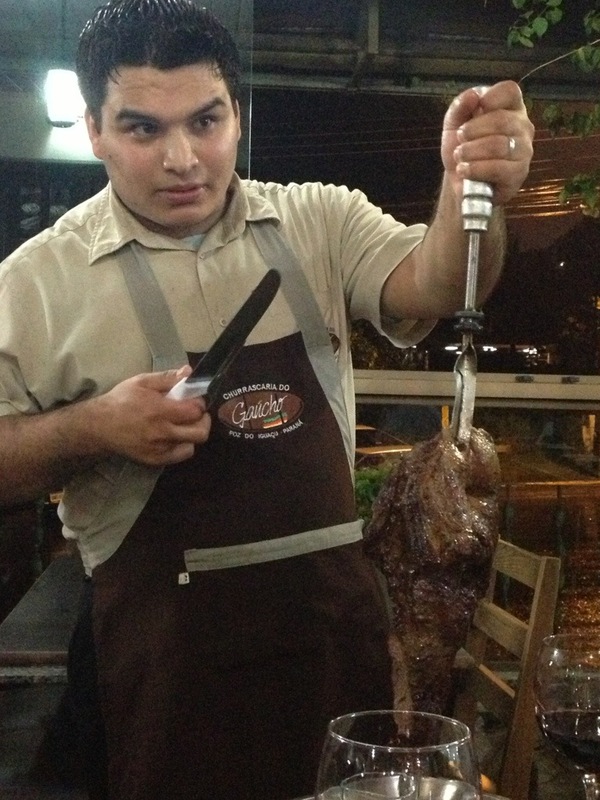 The waiters come around with huge skewers of meat and you just take what you want until you can’t eat any more! I had the meat sweats by the end of it!! 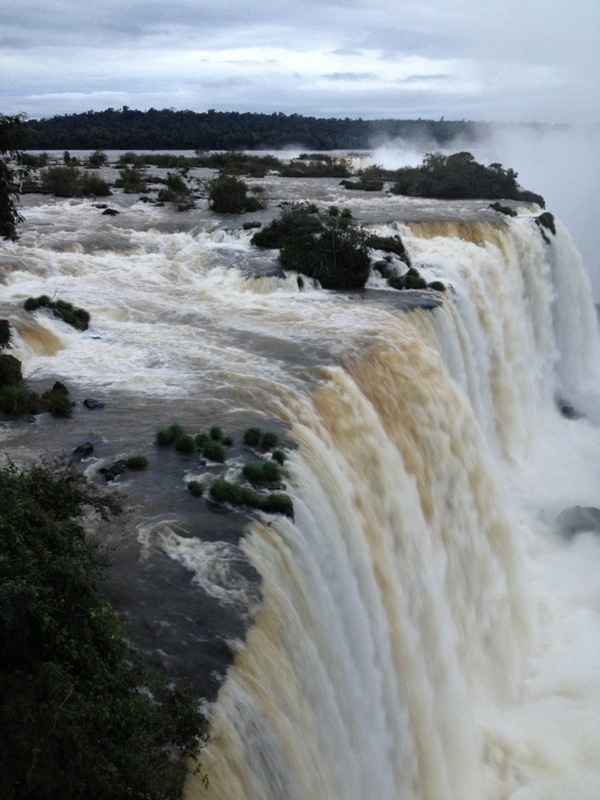 This entry was posted in Brazil and tagged Brazil, Iguassu Falls, south america, travel. Bookmark the permalink. The brazilian side of the falls are the most picturesque but if you get time you should check them out from the argentinian side – they do speed boat trips! !